NAIROBI – Burundi, Kenya, Rwanda, Tanzania, and Uganda agreed on Thursday to make trade between them and with other countries cheaper, faster and simpler in a significant boost for economic integration in East Africa and continental trade facilitation. Meeting in Nairobi, Kenya, representatives of the nations – who are members of the East African Community customs union and common market (EAC) – said they would implement trade facilitation reforms including reducing “non-tariff barriers” such as burdensome and incompatible product regulations. “I feel so proud because this is an opportunity for the EAC countries, many of which are landlocked, to sell their products within the region, in Africa and across the whole world,” said Frederick Ngobi Gume, Uganda’s Minister for Cooperatives, where Uganda is currently chair of the EAC. “It also gives us an opportunity to simplify the import and export of commodities. Such an approach reduces bureaucracy, with online clearances reducing contacts at the border. 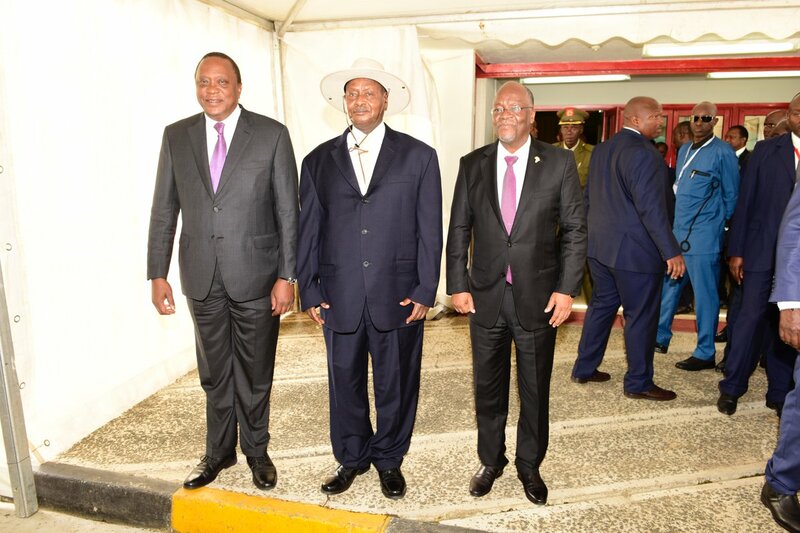 This initiative will go a long way to stimulate trade within the EAC and further afield,” he further added. The EAC move comes after most African countries signed the African Continental Free Trade Agreement (AFCTA). The AfCFTA envisages establishing an Africa free trade area by building on regional blocs such as the EAC where trading nations already work together. The EAC declaration also aligns with the World Trade Organization’s Trade Facilitation Agreement which entered into force in February 2017. In the declaration, EAC countries commit to supporting National Trade Facilitation Committees (NTFCs) as the main vehicle for coordinating the implementation of the trade facilitation measures at the national level. Intra-EAC trade, while low compared to regions outside Africa, is the highest among regional economic communities in Africa at 19.35% of exports. The Nairobi meeting, thought to be the first time a regional bloc in Africa has gathered at this level to pledge trade facilitation reforms in light of the AfCFTA and the WTO’s Trade Facilitation Agreement, was organized by UNCTAD and the EAC Secretariat with the support of TMEA and the International Trade Centre.